The Metropolitan large Art Deco style 3 light Tiffany pendant, with polished aluminium fittings, from our collection of hand crafted Art Deco ceiling lamps by Interiors 1900. 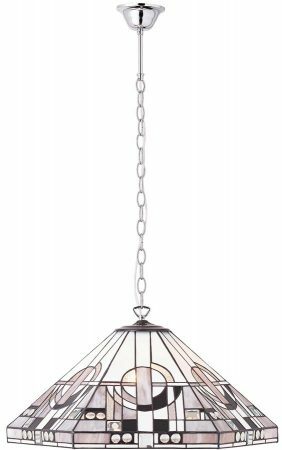 Stunning Tiffany light pendant in the true Art Deco style. Polished aluminium ceiling fitting and chain suspension, with black and white glass panels and a circular inset motif finished with clear glass bead edge. 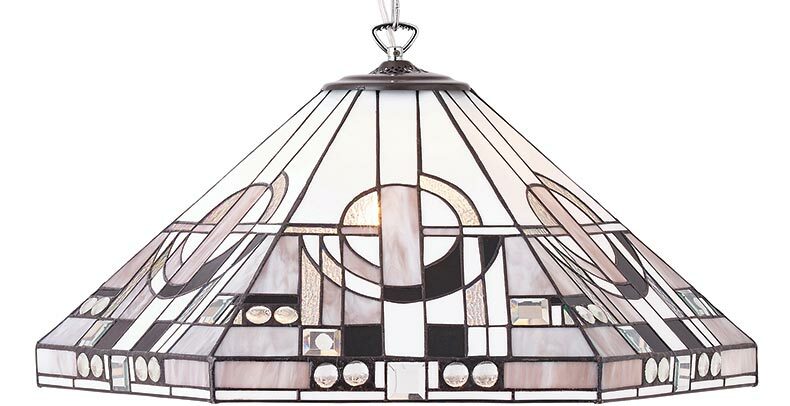 This is a large 58cm diameter, hand-crafted Tiffany style ceiling pendant and the inset shade colours may differ slightly from the image shown, as each piece of glass is hand-made and may differ slightly in colour or shade. This should not be seen as a fault, rather something that makes each piece unique. 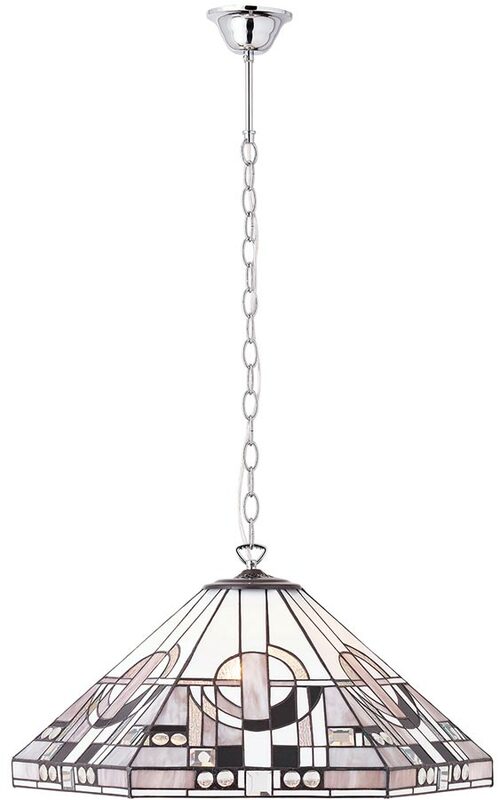 Capture the world of Art Deco with this wonderful Tiffany light pendant.